In 1904 in a small town in Russia, life is as precarious as ‘A Fiddler on the Roof’ for the Jewish population who live alongside orthodox Christians in Anatevka. 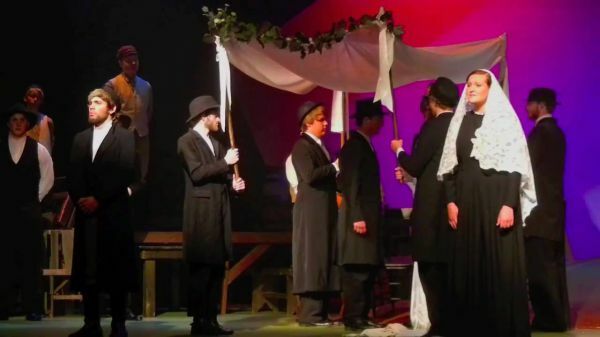 Tevye the poor milkman tells the story of how Yente, the traditional town matchmaker, arranges suitable marriages for his five daughters, Tzeitel, Hodel, Chava, Shprintze and Bielke, against the backdrop of the anti-Jewish sentiments of a pre-revolutionary Russia. Admiral Costumes have some great costumes for this show with lots of suitable dark and drab clothing for the poor Jewish families and a variety of peasant costumes for the villagers. For the wedding scenes, prayer aprons, rabbinical hats, Yarmulke’s and smart black coats are available. Brilliant peasant costumes for all the main characters, women villagers and wedding coats for the bottle dancers.